This app's name is more than an idle boast. It promises to transform even the most sedentary couch potato into a bona fide 5k runner in nine short weeks. It does this by prescribing a manageable regimen—three to four weekly sessions at 30 to 40 minutes—and slowly amping up activity over its course. Virtual coaches, recorded mantras, a native music player and progress-tracking graphs will take you from sitting to walking to running without risking injury from doing too much too soon. 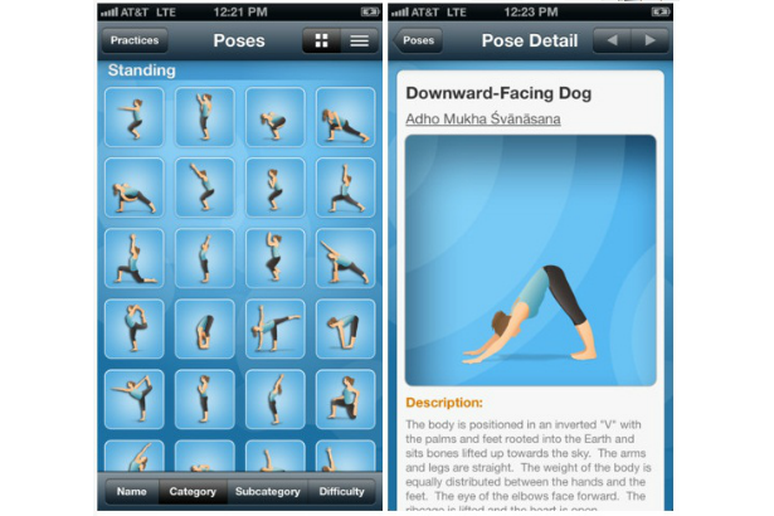 What makes this flexible little app so great is that it not only gives you 27 separate yoga sessions—three good instructors who lead you through different variations of yoga at three difficulty levels (beginner, intermediate, advanced) for three durations (30, 45 and 60 mins)—it gives you the tools, namely poses, to complete them. An in-depth dictionary teaches you more than 165 poses, showing off proper positioning and alignment from both sides. This is the best yoga skills app, and is the next logical step in taking yourself from "Awkward" (that's really a pose) to "Feathered Peacock." This apps gives women fit tips and 100+ workouts from the likes of Rihanna’s personal trainer Ary Nuñez and professional athletes like Hope Solo and Serena Williams. 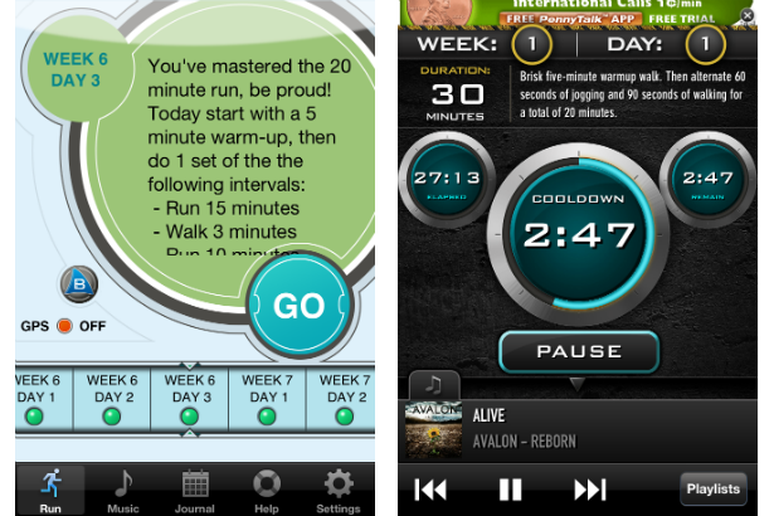 Input your current fitness level, and put yourself in the professionals' hands. 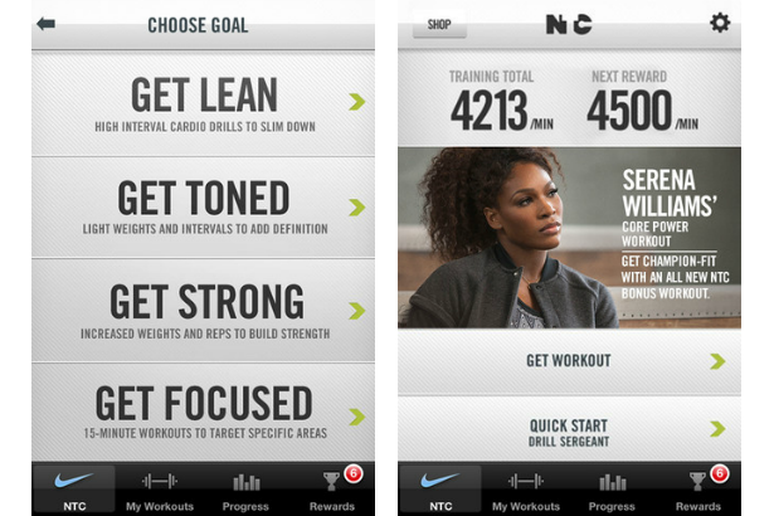 Nike Training Club will track your progress and upgrade your workouts until you're ready to run with the superstars. There's no denying a long hike offers a great workout, especially when it's up a mountain or local hill. Even better, it doesn't feel like exercise so much as outdoors adventure. EveryTrail turns your phone into a fully integrated GPS, plotting your hikes wherever you can get reception, and recording distance walked, elevation change, GPS coordinates, and mapping the whole thing in real time. It also offers expert-created mobile travel and trail guides, as well as access to more than 400,000 user generated trips. 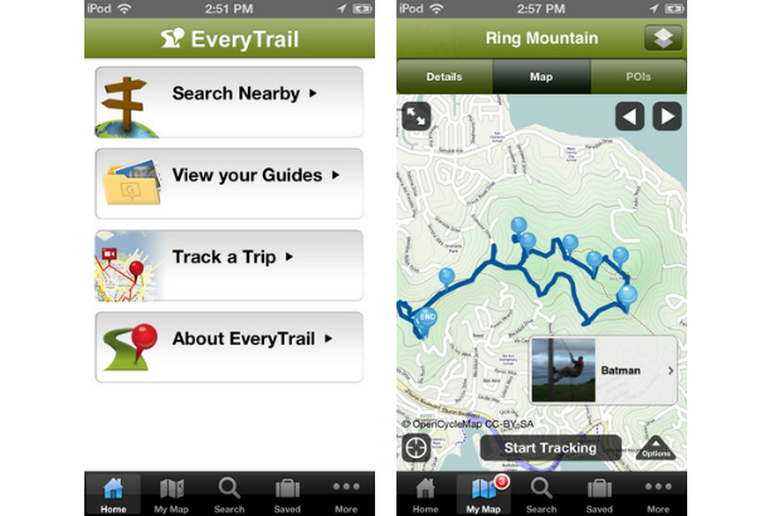 With this app, you'll never wonder where the best local hikes are. Is that a DJ in your pocket? Pump up your workout with FIT Radio, which hires pro DJs to engineer original, energizing playlists from the hottest hip-hop, house, rock, dub step and indie tracks. Choose a playlist to match your tastes, tempo (the beats-per-minute remain fairly steady through each list) and workout, hit play and you won't need to fuss with it until you're done. Need motivation on your next training run? How about a pack of blood-thirsty, brain-hungry zombies on your heels? That's what this app promises when it drops you into the middle of an action-packed storyline that plays out while you run, between your personal mix of songs. 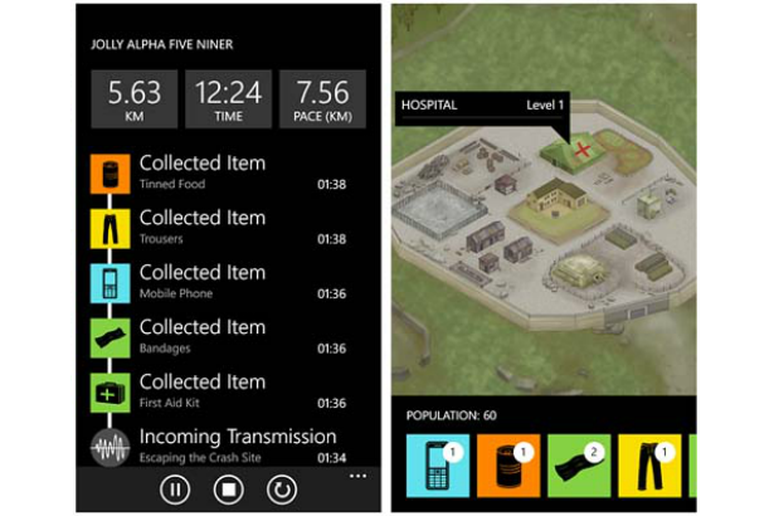 It's the gamification of running, with zombies chasing you through your workout. Go fast, and you'll do well in the game. Go too slow and, well, let's just say that you'll never have to worry about cramps again. 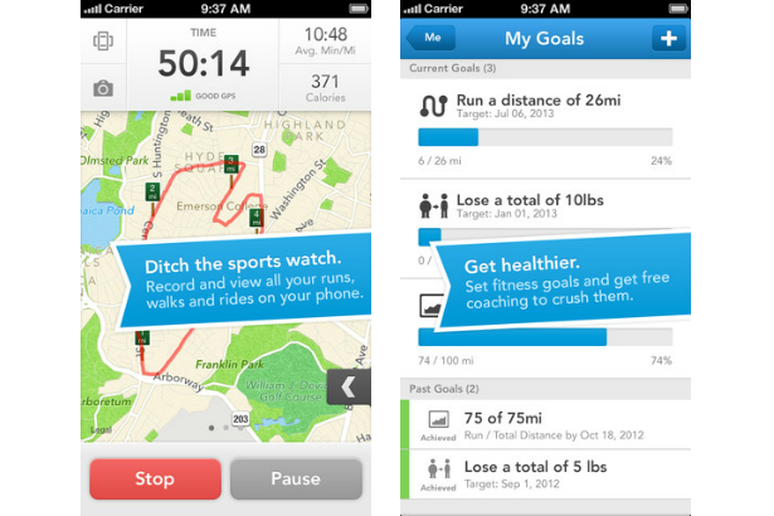 Using your smartphone's GPS signal, RunKeeper records distance, time, pace and calories burned across activities including running, biking, hiking, walking, rollerblading, skipping, endurance jump-roping… anything, really. 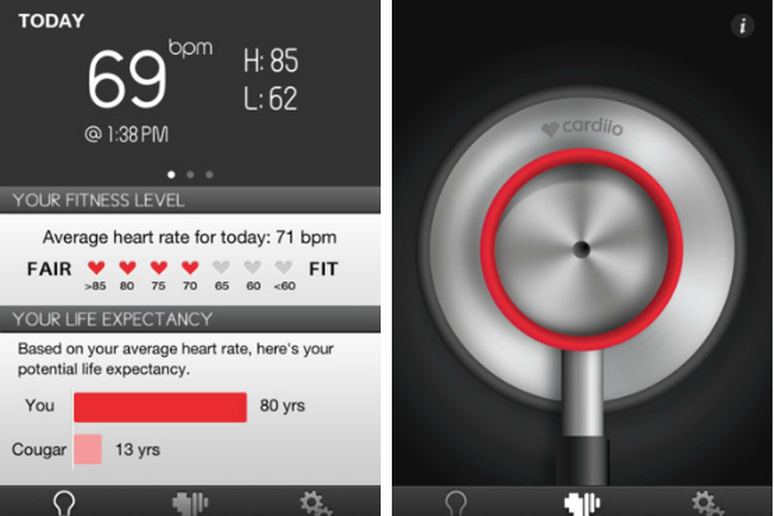 It also syncs with heart rate monitors to keep you up to date on your ticker. 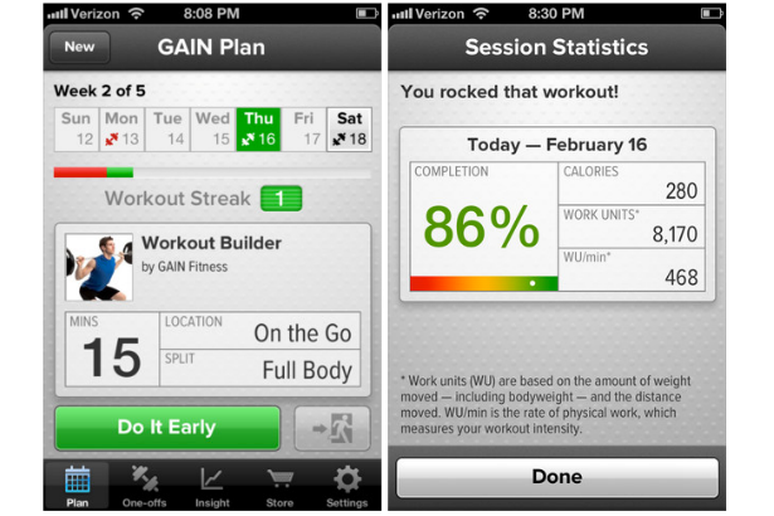 The other nice feature is that it automatically beams your workout info up to the web, where you can set goals and track your progress over time. A virtual trainer can help push you toward your goals while you exercise. This app isn't particularly useful to you as a fitness app, save for the inner peace you can find by helping others. 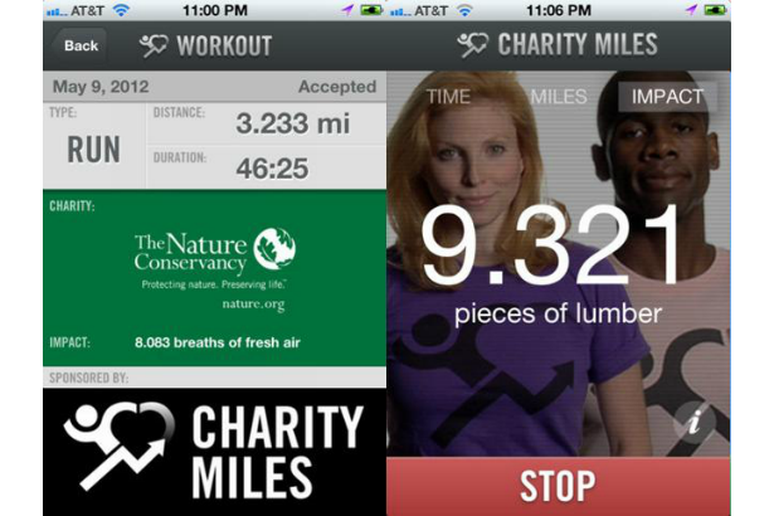 Charity Miles tracks how many miles you run, walk or bike, then donates money to a nonprofit—Feeding America, Wounded Warrior Project and The Nature Conservancy are a few options—based on your stats, at a rate of 10 cents per mile for cycling, and 25 cents a mile for walking and running. 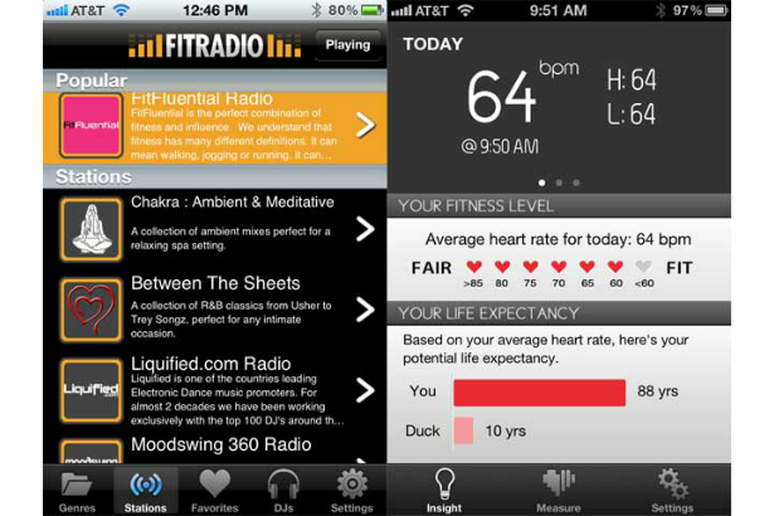 Keep track of your heart health with this app, which uses magic and fairy dust…err, cutting-edge research from MIT's Media Center and your camera phone to tell you your heart rate based on invisible-to-the-naked-eye changes in the light that's reflected by your face (less light is reflected with every individual beat of your heart. It's great for keeping an eye on your ticker, and tracking heart health over time as you work through a particular fitness regimen. GAIN Fitness acts as a personal trainer, recommending specific exercises—including classic strength, sport-specific and bodyweight training—to reach your fitness goals. It also runs you through the workout, showing you how to do each specific exercise (with HD video) and tracking your repetitions and timed segments. Like a good trainer, it will also harass you on planned workout days to make sure you're not skipping out. It comes pre-loaded with "balanced" exercises, but you have to pay $2.99 for sport-specific workouts.